Mirwaiz Umar Farooq. File photo. 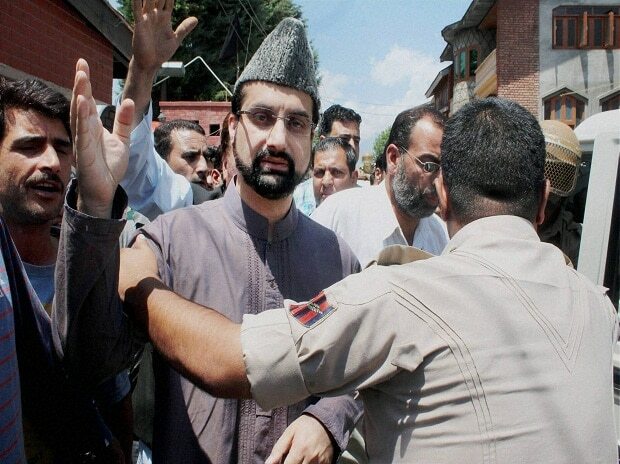 The Jammu and Kashmir administration Sunday issued orders to withdraw security of five separatist leaders, including Mirwaiz Umar Farooq, officials said. Besides the Mirwaiz, the security cover for Abdul Gani Bhat, Bilal Lone, Hashim Qureshi and Shabir Shah has been withdrawn, they said. However, there is no mention of pro-Pakistan separatist Syed Ali Shah Geelani in the order. According to the order, all security and vehicles provided to the separatists will stand withdrawn by Sunday evening. No security forces or cover will be provided, under any pretext, to them or any other separatists. If they have any other facilities provided by the government, they are to be withdrawn forthwith. Police will review if there are any other separatists who have security or facilities which will be withdrawn immediately, the officials said. "Some elements in Jammu and Kashmir have links with the ISI and terrorist organisations. Their security should be reviewed," he had said after reviewing security in the aftermath of dastardly terror attack in South Kashmir's Pulwama district.